Sam Sage of Counselor, New Mexico, at Dine' Peoples Convention. 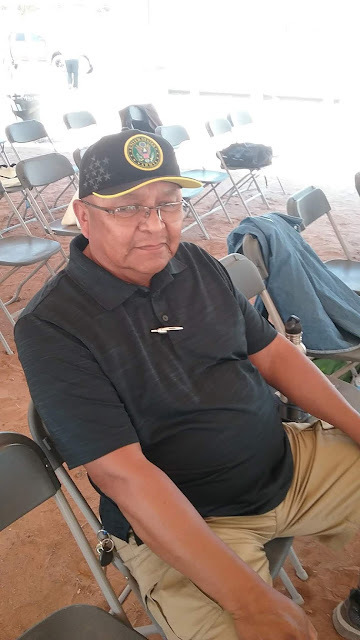 DILKON, Navajo Nation -- Sam Sage described how oil and gas drilling and fracking are destroying the land and poisoning the air in the Eastern Navajo Nation and the Greater Chaco Region. Speaking during the Dine' CARE Western Peoples Convention here on Saturday, Sage called out U.S. Sen. Tom Udall for being in the pockets of the industry. Now, with more than 100 organizations fighting the drilling and fracking in the Greater Chaco Region, Sage said Navajos are surrounded by the noise, pollution and the destruction of the land. The women are suffering from cancer. Sage described what happened in his home community of Counselor, New Mexico, and the area between Farmington and Cuba, when the development rush started happening on Bureau of Land Management land in 2013. In the beginning, the oil and gas companies said they were doing exploratory drilling. "The next thing you know it became full fracking,” he said, describing how the land, which borders Navajo homes, has been destroyed by oil and gas drilling and fracking. "Some of the springs have stopped flowing." The wells had stopped flowing since the 1990s. It wasn't until one of the oil companies had an accident, and killed one of the workers that things began to be exposed. Sage said the company tried to stop the news from getting out that one worker died on BLM land. The Navajo community didn't know until five to six days later. Then there was a visit from U.S. Senator Tom Udall, Democrat from New Mexico. Bright lights come on at 11 p.m. at night and there is loud noise. 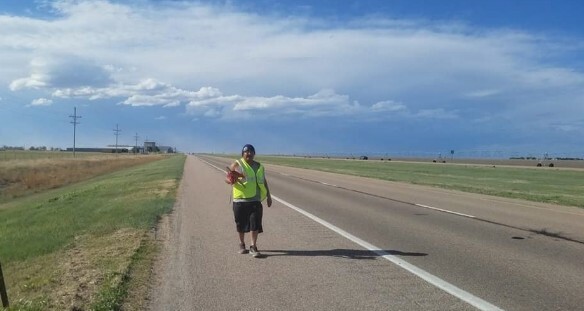 Navajo community members complained about the damage to the land, damage to the roads and the noise, but it all depended on who was in the position of BLM field manager, as to whether anything was done about it. At first they met with BLM officials and some leases were deferred. The people wanted parcels cancelled or withdrawn. “Then a new field manager came,” Sage said. Now, there are 111 groups helping and assisting us, Sage said, describing the Greater Chaco Coalition. Sage said the Greater Chaco Coalition wanted to formalize the group and have officers, but he said, “That's not going to work here. A lot of people will leave if we formalize it,” Sage said. Today, it is not formally organized. They began to realize that the women had started passing away from cancer. They began assessing the land and carrying out air monitoring. Navajo allies were willing to pay for the expensive tests. The water was tested, the drinking water was tested. “We had to do all this ourselves,” Sage said. Navajos helped them, including Larry Emerson, Herbert Benally, David Tsosie and many more. Meanwhile, violent crime increased from the oil and gas man camps. 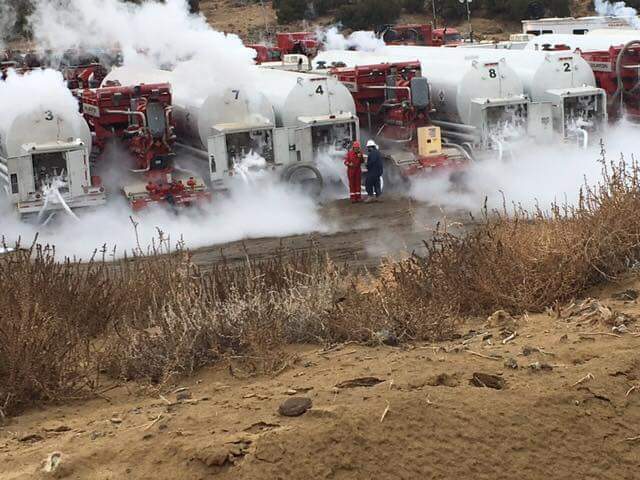 Since fracking uses a lot of water, and creates a lot of waste, Navajos are still asking questions. Then there is the stench, the poisonous gasses. Sage praised Dine' youth Kendra Pinto, and said she has been a great asset. "She came back to the community and wanted to help," Sage said. When Sage finished his talk, Earl Tulley, Dine’ CARE, said the oil and gas drilling is resulting in explosions and chemical releases, making air monitoring necessary. It affects both livestock and people. "We are not going to be migrating,” Tulley said. Dine' CARE's second Peoples Convention, on the Eastern side of the Navajo Nation, is June 21 --23, 2018, in Counselor and Lybrook, New Mexico. 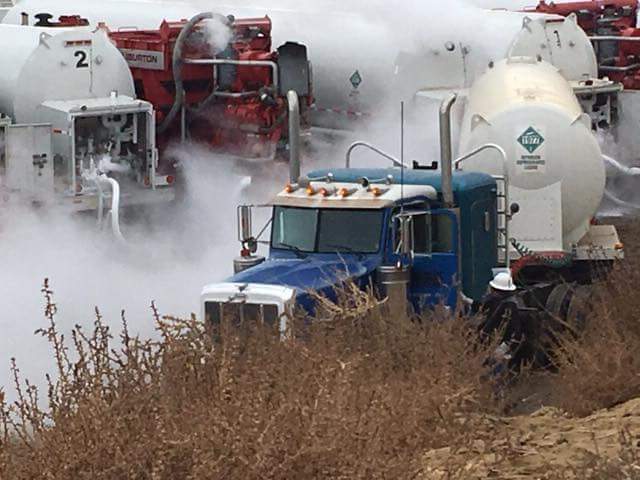 Halliburton destroying Greater Chaco Region with Fracking. Photos by Daniel Tso, Lybrook, New Mexico, Jan. 2018. Article copyright Brenda Norrell, no portion may be republished without permission, or used in any revenue producing projects. Our members may be able to help.